Cardi is simply a sight to behold, with effortless movement, along with grace and stunning good looks. She is our pick puppy from the Blaze and Bootsie litter. 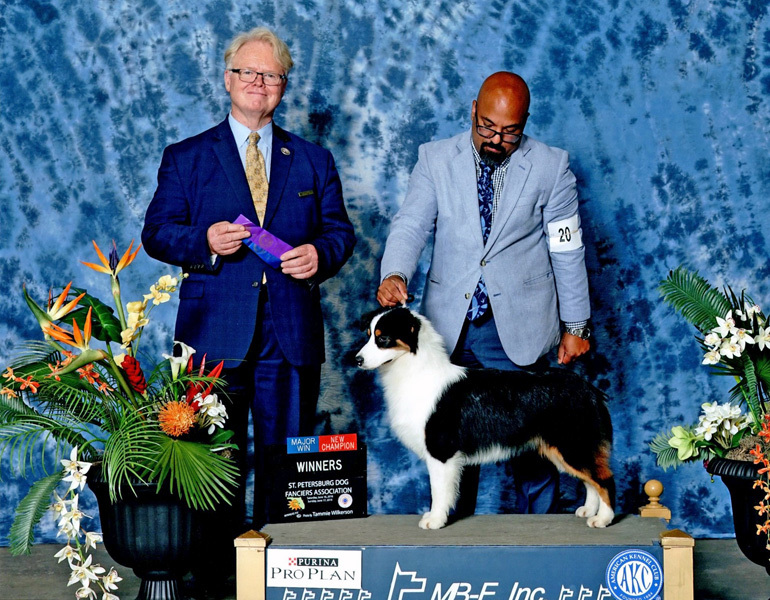 Cardi is a multiple puppy group winner and a Puppy Group Best in Show Winner. 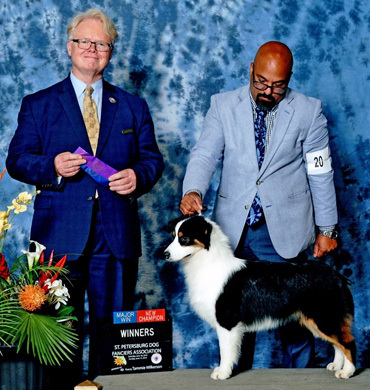 She was 2nd in her class at the 2018 MASCUSA Nationals. 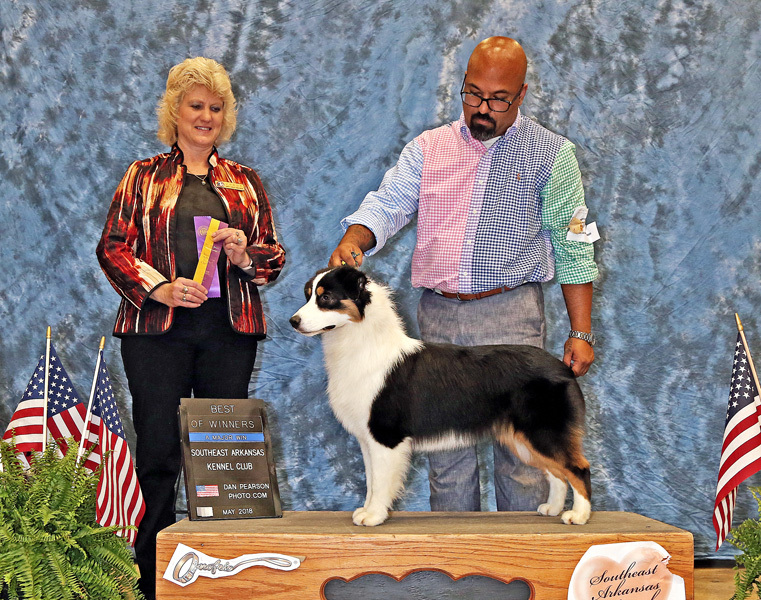 She finished her championship in a couple of weekends that included a Best of Breed Win over her sire. 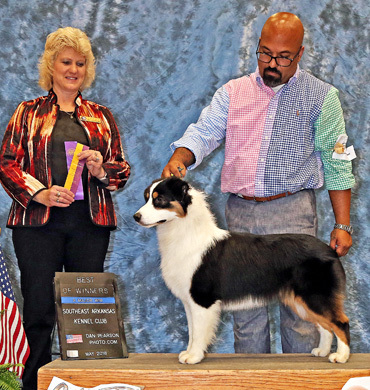 Look for Cardi back in the ring in the future!